Customers who have FUJIFILM GFX 50S can update the firmware of EF-X500 by updating the firmware of a camera body and attaching it to the camera. An EF-X500 flash owner has reported to us an occurrence of the alkaline batteries in the flash unit becoming very hot when the EF-X500 was in stand-by mode. As a result of our investigation, certain phenomena could arise in rare instances when certain EF-X500 units are in stand-by mode and when a communication error occurs between the camera and this flash unit. 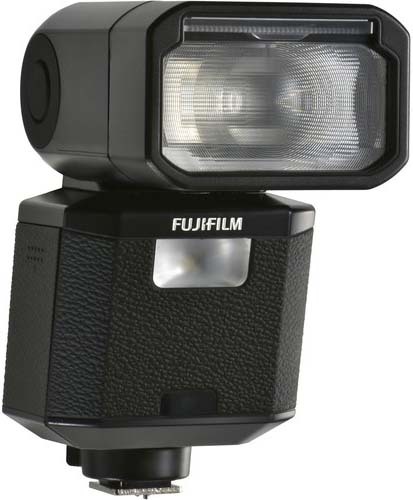 1.The applicable EF-X500 flash unit does not properly respond to turn on from stand-by mode. 2.The alkaline batteries may become increasingly hot. If you try to take the batteries out of the EF-X500 flash unit without turning the flash off and/or disconnecting the flash unit from the camera and letting the batteries cool down, a skin burn could occur. A firmware upgrade is now available to address and prevent this potential occurrence in relevant EF-X500 units. Accordingly, we recommend that applicable product owners upgrade their EF-X500 flash firmware to version 1.02 which is posted on the firmware download site. The serial numbers of the flashes which requires this firmware upgrade can be checked in the searching form below. If the serial number is not applicable, the firmware of your EF-X500 flash unit does NOT need upgrading. We appreciate your continued support for the Fujifilm brand, and we apologize for any inconvenience you may have experienced. This entry was posted in Fuji flashes, Fujifilm GFX, Fujifilm GFX 50S and tagged Fuji GFX, Fuji GFX 50S, Fuji GFX50S, Fuji Rumors, Fujifilm, Fujifilm EF-X500, Fujifilm GFX50S, Fujifilm Rumors, FujifilmRumors, Fujirumors, GFX, GFX 50S, GFX50S, Medium Format, Super Full Frame. Bookmark the permalink. Trackbacks are closed, but you can post a comment.